»7 Reasons Why You Should Experience Pushkar Mela At Least Once In Your Lifetime! 7 Reasons Why You Should Experience Pushkar Mela At Least Once In Your Lifetime! The grandeur and royal state of Rajasthan has many shades to explore! The rich and varied culture, with profuse heritage, is an attraction on its own. Rajasthan is quite known for its unique, colourful and grandeur festivals that boasts the affluence of this state. The unusual blend of art, music and dance creates a mystique aura in these festivals! Pushkar Mela is a grandeur and unique festival celebrated in the state of Rajasthan. It is an annual five-day camel and livestock fair held in the town of Pushkar in Rajasthan. Held on the banks of the picturesque lake of Pushkar, the fair attracts tourists from far and wide. 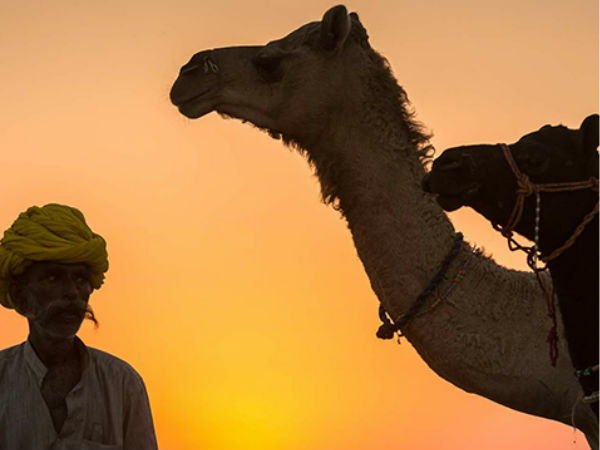 Let's see 7 interesting facts about Pushkar Camel Fair. These are some of the important things you need to know about Pushkar Camel Fair that would make you want to experience this grandeur festival! 1. The biggest camel fair in the world! Pushkar mela is one of the biggest camel fairs in the world and is a must witness spectacle while in Rajasthan. Apart from the trading of livestock, it has become an important tourist attraction which attracts a lot of tourists from far and wide. 2. How about a ride on a hot air balloon?! Imagine the surreal feeling of floating higher whilst the crowds diminish! If you have ever dreamt of a hot air balloon ride, Pushkar is where you need to be. A hot air balloon ride is easily accessible and amusingly attractive during the Pushkar mela. 3. Interesting and Unique competitions! Competitions such as the "matka phod", "longest moustache", and "bridal competition" are some of the main draws for this fair! Be a part of these fascinating competitions! 4. Performance of the bestest of fusion bands! Another important aspect about Pushkar mela is the music that flows around! You get to watch some of the best fusion bands in the country, performing live! Pushkar Mela 2016 is held from 08-15 November. In 2017, the fair is scheduled for October 28- November 4. 5. delectable cuisines and beautiful craftsmanship! A Rajasthan trip is not complete without digging into the authentic Rajasthani food! From the trademarked 'dal bati churma' to world cuisines, Pushkar mela is undoubtedly a foodie's delight!The Pushkar fair attracts the best of India's craftsmen and offers plentiful choices for shopping as well! Make sure to bring back a souvenir! Pushkar fair includes an exhibition cricket match between the locales and foreign tourists. Dressed up in full Lagaan costume, they try to recreate the iconic cricket match, annually! 7. A festival for Kites! From this year, colourful and intricately crafted kites would don the skies of Pushkar during the fair. An event called 'Pushkar ki Patang' is debuting this year!